This high end klystron modulator is the latest addition to the K-series. Designed to handle the larger pulsed klystrons on the market with up to incredible 100 MW Peak Power! As for all platforms in the K-series K500 modulator provides all of the features of the smaller series of klystron modulators. The K-series modulators have become the number one choice of the research community with their additional ability to provide the industry’s best pulse-to-pulse repeatability along with unsurpassed pulse shape that maintains the flattest pulse tops, it is capable to meet the extreme requirements that large scientific accelerator system set up in order to deliver the highest beam performance in the world today. 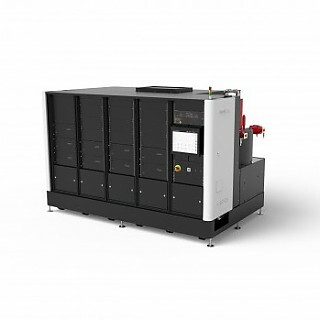 In addition the K500 platform can accommodate enough space to meet very high demands of average power for industrial applications.